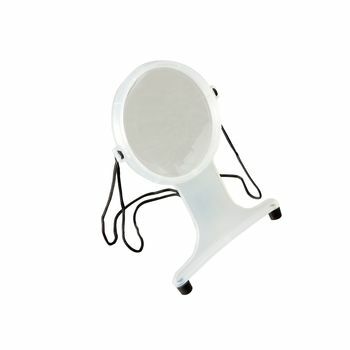 • This magnifier hangs from a neck cord and has a moulded plastic frame that fits against the body to position the viewer without using the hands. • High central magnification area. • Ideal for craftwork, reading etc.